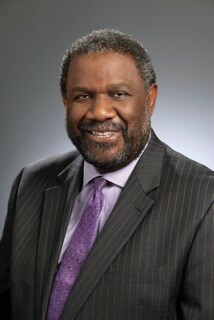 Throughout his distinguished career, Ralph Smith has been a leader who brings together unusual allies. Ralph is the managing director of the Campaign for Grade-Level Reading, a national network of communities focused on ensuring children read on grade level by the end of third grade. He has also worked at the Philadelphia School District as chief of staff and special counsel, at the University of Pennsylvania as a law professor, and at the Annie E. Casey Foundation. He is a graduate of Loyola Marymount University and UCLA School of Law. Despite considerable evidence to the contrary, many of us continue to act as though schools alone can remove the adversity propelled obstacles confronting children from low-income families. That is simply fantasy. We learn best when we meet folks where they are literally, in their communities, listen to their hopes and fears, encourage them to weigh in on what we promote as lessons learned and next steps. Building upon the shared belief that young children should learn to read, the Campaign for Grade-Level Reading has made enormous progress in translating that consensus into a movement with broad implications for disrupting generational poverty. The current school-centric approach would be displaced by one in which public schools are just one of the institutions perceiving themselves, as well as being perceived by others, as jointly accountable for fostering student success as children move from birth to adulthood. What I treasure most--moments of solitude and silent reflection, moments of fellowship and celebration--are not literally things I "possess."